This is Tarra, the Little Star. Born with glowing eyes, Tarra was considered a cursed baby. Her parents offered her to gods as a sacrifice to propitiate. Exposed to beaming starlight under an exceptionally clear night-sky, her unique body channeled into cosmic energy. The Little Star was born. 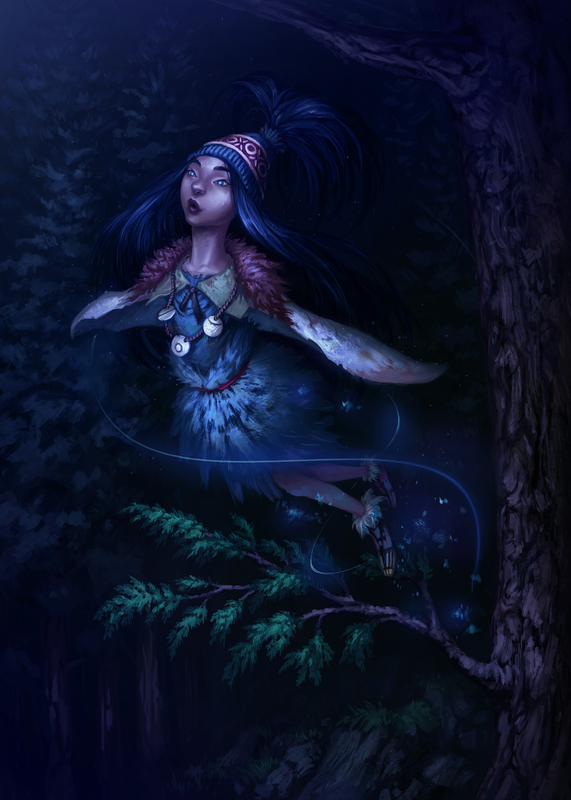 Tarra attracts animals and insects that can sense cosmic energy she generates. She can feel their existence, therefore understands them. To all those with sensitive intuition, she appears a star. Tarra captures floating thoughts and feelings surrounding the Earth and gains knowledge. She is very curious and creative, at the same time playful. She can hear and feel Stargazers, chasers of stars. This is a character I created for my personal concept art project.